From the "I can't believe it" department, comes word that Comcast is now going to begin capping consumer broadband usage. Each account (not household) will be limited to 250GB of data per month. Huh? For those who work at home, backup valuable data over the Net to a remote location, etc this could be an outright disaster. Add to this the fact that Comcast is not going to provide users any way to monitor their usage and this is a real recipe for consumer rioting. I also love the fact that Comcast is using a "2 strikes and you're out" policy. From C-Net: "Users who go over the limit will get a courtesy call from Comcast's customer service for the first instance. However, under the new policy a second-time offense means the service is immediately suspended for an entire calendar year." Wow, now that's customer service. First they won't tell you how much you're using and then make the mistake twice and you're account is shut down for a year. Can anyone else see a mass exodus to another provider? Is a Mac Tablet somewhere on the Horizon? The drawings above detail a patent filing by Apple. What is it? Well speculation abounds about that. It certainly looks like an Apple tablet. But that doesn't mean that one will be showing up in the Apple store any time soon. Jobs and company are well known for developing ideas that don't show up for a while. Of course that isn't always the case. The reason the iPhone was announced in January and not available until June was due to the fact that the patent filing was about to become public knowledge. With the proliferation of hand held devices, I can certainly see something like this fitting into the iPhone, iPod, iWhatever genre that Apple has built over the years. Apple always does a remarkable job of keeping info under wraps so even though this device may be in development, don't expect to hear too much about it. My personal opinion is that we won't see this device for some time, but when we do, it will be a ground shaker. I have a Tablet PC, but I'd get in line today for a tablet from Apple. FRAMINGHAM, Mass.--(BUSINESS WIRE)--Today, Bose has introduced the SoundDock Series II digital music system -- a speaker system for iPod and iPhone that combines the same small size and high-quality audio performance as the original SoundDock® system, with an enhanced look and added functionality. It is the first “Works with iPhone” certified SoundDock system from Bose. The design of the SoundDock Series II system has been updated to more closely resemble the clean and distinctive lines of the Bose® SoundDock® Portable digital music system. It maintains a small footprint, measuring just 6 5/8" high by 12" wide and only 6 1/2" deep. The SoundDock Series II system works seamlessly with the iPhone 3G and original iPhone models. It also works with most iPod models, including iPod touch and any iPod featuring a click wheel, including all nano, mini, photo, video and classic models. The SoundDock Series II system is available in Gloss Black from Bose for $299 beginning in early September. It will be sold at authorized Bose dealers, Bose retail stores, online at www.Bose.com and toll-free at 1-800-444-BOSE (2673). forward to continuing to serve your communication needs. Now I don't know how many people are using the service. With the proliferation of the above mentioned web based e-mail services it may not be cost effective for Sprint to keep the system up and running. However, I've always like the fact that I have my PCS mail account setup to send me a text message whenever an e-mail comes in. I have most of the airlines I fly configured to e-mail updates and reminders to my PCS e-mail address. That way I receive detailed alerts, etc and I know immediately when they come in because a I get a text message. Of course I can configure a new account to do that, but it just seems odd that Sprint would do away with the service unless I'm the only one using it. It would have been nice if they had given me a reason for the decision instead of simply telling me I had until December to make the change. As regular readers know, I'm a huge fan of my Amazon Kindle (thanks Don!). In the 4 months I've owned it I've become a big time user and it's actually helped get me back into serious reading again. Now there are rumors that Amazon is preparing for the release of Kindle 2.0 It should be here by the holidays. The rumors are that there may be 2 devices on the horizon, one the standard (paperback size) and another 8 1/2 x 11 inch size. There is also the possibility of colors which I personally think would be a great option. There may also be some redesign of the button layout and software, although that is all speculation at this point. First of all, thanks to my Twitter bud Canine for the heads-up on this. He attended Gnomedex over the weekend and sent me the info. Adeona is a tracking system for getting back a laptop that has been stolen. The idea is that a stolen laptop (or desktop for that matter) sends info on its location whenever it is connected to the Internet. This allows the rightful owner to locate their stolen property and notify the authorities. With the growing ubiquity of, and user reliance on, mobile computing devices (laptops, PDAs, smart phones, etc. ), loss or theft of a device is increasingly likely, disruptive, and costly. Internet-based tracking systems provide a method for mitigating this risk. These tracking systems send, over the Internet, updates regarding the current location of the device to a remotely administered repository. If the device is lost or stolen, but maintains Internet connectivity and unmodified software, the tracking system can keep tabs on the current whereabouts of the device. This data could prove invaluable when the appropriate authorities attempt to recover the device. Unfortunately, with current proprietary tracking systems users sacrifice location privacy. Indeed, even while the device is still in the rightful owner's possession, the tracking system is keeping tabs on the locations it (and its owner) visit. Even worse, with some commercial products, even outsiders (parties not affiliated with the tracking provider) can "piggy-back" on the tracking system's Internet traffic to uncover a mobile device user's private information and/or locations visited. The Mac OS X version also has an option to capture pictures of the laptop user or thief using the built-in iSight camera and the freeware tool isightcapture. Like your location information, these images are privacy-protected so that only the laptop owner (or an agent of the owner's choosing) can access them. More info can be obtained from the website. MIAMI (August 26, 2008) –Genius (www.geniusnetusa.com), a division of KYE Systems Corp., announced today a sleek new three piece speaker system that includes an innovative DRD 3D sound effect for greater acoustic range and powerful base. The SW-T2.1 1800 2.1 Touch Speaker system is a larger version of the recently announced SP-T1200 and both speaker systems have a touch panel screen to control function, volume, bass or treble all with the touch of a finger. Combing fun with great sound, everything is controlled right from the front of the speaker. Priced at $179.00 MSRP, the SW2.1 1800 2.1 Touch Speaker System has an embedded equalizer so users can choose between flat/rock/pop/classical or jazz music. This system is great for any music lover who wants a rich look and sound and high-tech features such as the slide bar touch features offered in the SW-T2.1 1800. Users that prefer to listen to their music via headphones can plug into the line-in jack or headphone jack. The three piece speaker system includes a 6” subwoofer to help boost the speaker’s ability to play loud music without distortion. The SW-T2.1 1800 comes in black-onyx for a contemporary look and feel and is the perfect for any home studio, mp3player, PC/Notebook or LCD-TV. The SW-T2.1 1800 is currently available at New Egg.com, Amazon.com, Comp USA, Mac Mall, Tiger Direct, Buy.com, D&H, ASI, Ingram Micro USA and Canada, or other retailers and distributors listed athttp://www.geniusnetusa.com/buy.php. Founded in 1983, KYE is an international leading company in computer peripherals and famous for its Genius brand. KYE had expanded its portfolio of innovative peripherals to consumer electronics with continued leadership in design and quality. 2006's sales revenue of KYE posted its sixth consecutive year of record sales, US$410 million. KYE Systems Corp. is a Taiwan public company traded on the Taiwan Stock Exchange with symbol 2365.
) Era stores, which will also due to launch the iPhone on Friday. NEW YORK (Reuters) - Palm Inc unveiled a Treo smartphone Wednesday based on Microsoft Corp software to compete for business users against rivals such as Research In Motion's BlackBerry. The new Treo Pro will be sold by Vodafone Group Plc and 02 in Europe in September, and by Telstra in Australia, Palm said. In the United States, Palm does not have an agreement with a carrier to sell the phone, but it said enterprise demand is growing for unlocked phones that can work on any network. CL King analyst Lawrence Harris noted, however, that the Treo Pro's price tag of $549 is high without the subsidies typically offered by carriers to lock in subscribers. "Given the pricing and lack of carrier sponsorship in the U.S., we believe initial sales of the Treo Pro will be limited," said Harris, adding that only 21 percent of Palm revenue came from international sales in its fiscal year 2008. The Treo Pro is Palm's second phone with Wi-Fi, a short range wireless technology that could boost Web speeds in weak cell phone reception areas, and Global Positioning System (GPS) technology that supports features such as directions. Palm said the use of Microsoft's Windows Mobile 6.1 software would help it compete with RIM's BlackBerry Bold, a high-speed phone that goes on sale in Canada this week and is expected to be launched in the United States later this year. "We've chosen to partner with Microsoft to compete effectively with RIM," said Brodie Keast, Palm senior vice president for marketing, but he added that there was plenty of room for both companies to grow in the smartphone market. "Even with the growth in this market, 90 percent of the market doesn't have a smartphone. It doesn't make sense to fight over the 10 percent," said Keast in a telephone interview. "We want to reach out to people who don't have a smartphone, not people who already love RIM." Keast said it was likely that more Palm devices would include Wi-Fi in the future as there is growing demand for alternative connectivity in areas where phone reception is weak, or when users want faster speeds to download big files. "Going forward for premium, fully featured devices, Wi-Fi is a requirement," he said. Keast said Palm was on track to come out with a new phone software platform aimed at consumers in the first half of next year, and that this would put it in more direct competition with the iPhone from Apple Inc. He said he does not see the iPhone, which now supports corporate e-mail, as a direct competitor to the Treo Pro. Palm shares were down 13 cents, or 1.7 percent, at $7.67 on Nasdaq in midday trading. In my office we use the pulse oximeter on patients receiving nitrous oxide sedation or any time a patient has taken .25mg of Triazolam to help them relax. Although I don't have any personal experience with this item (so I can't vouch for its accuracy) this pulseox unit is definitely affordable and would be handy for patients/loved ones that need to monitor their oxygen levels at home. Respiratory health is a vital part of long, healthy living. Regular monitoring of your heart rate and Oxyhemoglobin can help you better understand your over all health and also alert you to times when you should seek a medical professional. Chances are you’ve read about the various reports that show that heart disease and other circulatory diseases are the top causes of death in America. And chances are your doctor has used a device that looks just like the OxiHealth Finger Oximeter. Just like the device your doctor uses, the OxiHealth Finger Oximeter provides you with vital information at the touch of your finger. Every time you slip it onto your finger you will receive your pulse rate as well as a measurement of the arterial hemoglobin in your Oxyhemoglobin. Your heart rate is a great way to know whether you are overexerting yourself. But what is Oxyhemoglobin? Without getting to technical, it is transportation of Oxygen through the bloodstream to your muscles, vital organs, and the rest of your body. Oxygen, as we all know, is vital to the proper execution of normal bodily tissue processes. How does it do it? There are two sensors that measure the absorption of a red LED light and infrared. The absorption of these wavelengths is different between oxyhemoglobin and the deoxygenated form. The OxiHealth Finger Oximeter gives you this vital information in just seconds. Now you know. Now you can make a difference in your health. Now you can help protect yourself and take a more proactive measure to keep yourself in the best condition possible. 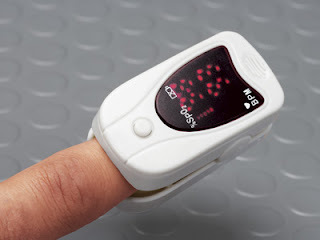 The OxiHealth Finger Oximeter is like a biometric key to your health and vitality. A small investment that could help your visit your doctor before you have serious problems. *Do not use the OxiHealth Finger Oximeter as a replacement for regular doctor visits or as a replacement for advice from your doctor. Jericho, NY – August 20, 2008 – For the past two years, Darby Dental Supply, LLC, the largest all-telesales distributor of dental merchandise, has had a Full Pay Deployment Program in place for its National Guard and Reserve member employees. Equally important, the program also ensures that their jobs will be waiting for them when they return. The policy was implemented at the request of the Ashkin family, who own the privately-held company. Three generations of Ashkins have operated Darby Dental Supply under a core philosophy that employees are part of an extended family and should be treated as such. NEW YORK, NY – July 29, 2008 –SIRIUS Satellite Radio (NASDAQ: SIRI) and XM Satellite Radio today announced that they have completed their merger, resulting in the nation’s premier radio company. The new company plans to change its corporate name to Sirius XM Radio Inc. The combined company’s stock will continue to be traded on the Nasdaq Global Select Market under the symbol “SIRI”. “The upside potential for both consumers and shareholders is huge. Consumers have the ease of adding premier programming without purchasing a new device. For shareholders, this kind of organic growth is a key part of the company’s future and the success we expect to see,” said Karmazin. “In addition to realizing significant potential revenue growth, the management team will move quickly to capitalize on the synergies that many analysts have predicted for this combination. We expect to begin achieving those synergies without sacrificing any of the world-class programming and marketing we are known for,” said Karmazin. “We have all the tools necessary to begin executing as a combined company with high aspirations for subscriber growth and greater financial performance in part from the significant synergies that we begin realizing literally today – on Day One. We are moving quickly to integrate the operations,” said Karmazin. 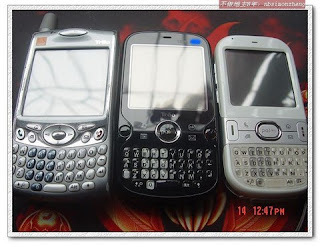 Although rumored for a while, it seems the Palm Treo Pro is closer to release than you may think. The photo above shows it between a Treo 650 and a Palm Centro. Obviously the design is thinner and sleeker than past Treos. No antenna and a similar look to the Centro, but the black is striking. The rumored specs are even more intriguing. The device is rumored to have GPS, quadband GSM, triband 3G, 256MB ROM, 128MB RAM, and a 400MHz processor. It looks like Palm is trying to climb back into contention. As a former Treo user and lover, I'm rooting for them. If you have a ton of USB chargeable devices (and if you're reading this blog on a regular basis, I'll bet you do! ), here is the gadget for you. 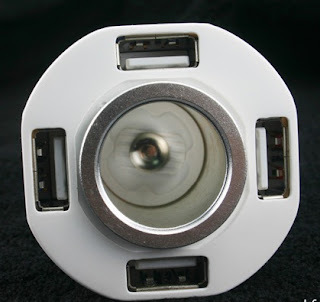 This unique device plugs into the cigarette lighter/power port on the dashboard or wherever else they are stashed in your vehicle, converting it to a charger for up to 4 different USB devices. Pretty slick. It even contains the circular power port so that you can charge your laptop or some other device that can use the port itself. In my case, I'd plug in the iGo car adapter and be able to charge 3 or 4 more gadgets. I know, I know that's way too many gadgets, but that's the way I spend my life. Since I try to come up with fun things for the weekend, (I know, I know, it doesn't always work) here is something that's green and kind of fun all wrapped into one package. 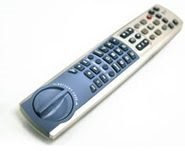 This is a remote made by Gizoo and with a price of around $38. What makes it so special is that it doesn't use batteries. The dial at the bottom turns to provide power. The company says 30 turns will give the remote enough of a charge to last a week. Pretty cool and pretty green. I have personally had no problems with mail since the update, but some of you have. Here is a solution that I'm told will work. For those that have broken email due to 8/13 update. Just keep going in and out of the email program (not email refresh). Sooner or later the update will finalize, and email will work. The error is that the update did not finish, and needs one more connection to server , and server is busy. You will get in sooner or later if you keep trying. In a press release this week, Intel announced that its “Extensible Host Controller Interface (xHCI) draft specification revision 0.9 in support of the USB 3.0 architecture, also known as SuperSpeed USB” is now available. This means that there may be demos of the technology at next week's Intel Developers Forum. The specs of USB 3.0 state speeds of up to 600 MB/s. That's an increase of over 10 times what we are currently getting with USB 2.0. In our world of ever expanding drives and file sizes this is very good news. However, you won't see these products until late 2009 at the latest. In other developments dealing with speed, two weeks ago, the IEEE said that it has approved the IEEE 1394-2008 specification, which increases the interface bandwidth of IEEE1394, also known as Firewire and i.Link, to 3.2 Gb/s. That's smokin' fast. As Dr. Robert Schmidt comments, “With digital impressions, the fits are better! need for a conventional physical model. digital impressions with the goal of reducing the amount of restoration remakes. There is an upgrade available to the mail application. You *should* be given the option to download it when accessing mail, but in case you don't here's how. From the "Email Home Page" press the gear icon at the top left. From the menu choose "check for Upgrade", select the download option. The update should download and install. I'm not sure what all this entails as I just installed it about 2 minutes ago, but anything Earth shattering will be mentioned here as I discover it. If you are someone who is into exercising or outdoor activities, you're probably familiar with the concept of a hydration backpack. For years Camelback has been synonymous with this concept and has made their products the standard. However, Skullcandy has added an interesting twist. 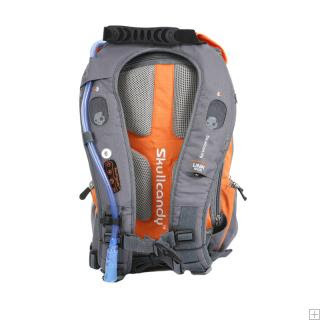 This Hydration Backpack in gray/orange is the perfect companion on all of trips, from the grocery store to an outdoor camping trip. Plug in your iPod or cell phone into this ultra cool backpack and you’ll be able to play your favorite music through speakers embedded in the upper straps. When you get a call, simply reduce the music volume with the mid-strap control buttons, which allow you to listen and talk hands free. The Hydration Pack has a water-tight bag that holds 72 oz. of water [accessed via a bite valve] to keep your thirst at bay! The backpack even has built-in CD/DVD holders as well as a soft-lined protective sunglasses pouch. Most of you know I'm a fan of Twitter. It helps me keep up with my friends (What are you doing now?) and it also helps my friends keep up with me. Of course, you can resize TweetDeck to whatever width you want—a single column, if you'd like. TweetDeck can also display all the tweets from the last 48 hours, often more than the Twitter web interface can (when the "Older" button's disabled, anyway). TweetDeck also has TwitScoop built in, which shows you the most popular keywords appearing on Twitter at the moment, a Twitter status indicator for when the service is down (which is often), and a URL shortener available right below the new tweet entry box. TweetDeck is a free download for all platforms running Adobe AIR. I've been a camera fanatic for quite a few years now. When I was in college, I was always the guy with the 35mm grabbing party pics and then distributing prints a few days later. When I got into dentistry my photo taking with professional grade cameras waned a bit due to the cost of the equipment and the fact that developing and cataloging all those photos was a bit of a daunting task. Once digital photography came around, I was excited to get back into it and I began using a Fuji S-1 with a 120mm Nikor medical lens. Once I saw what a good (at the time) digital camera could do, the idea of a point and shoot camera for anything seemed a step back. I became, I confess, a bit of a camera snob. This morphed into my purchase of a Fuji S-3 a couple of years ago. It's still my principle camera for my life out of the office. Of course this also means I needed a variety of lenses for different situations. 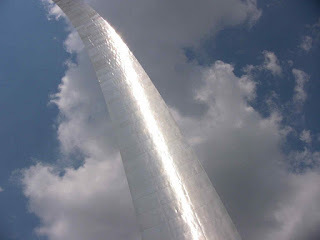 I loved being able to always get the shot no matter what. The problem with being a camera snob is that despite the fact you almost always get really great shots, you also become a human pack mule; carting a heavy/bulky camera and lenses with you. This began to become a problem as I would travel with my family. Having fun with the wife and kids was more difficult with the S-3 around my neck and a bag of lenses somewhere on me. Last fall I was about to break down and go to a good point and shoot just for the convenience, but at the last minute, I also decided I wanted a new video camera. I was in the process of building my new office and one of the things I was planning to do was to be able to film or broadcast procedures. To that end, I wanted a good video camera and on the recommendation of my best friend I bought the camera he had recently purchased, the Canon HV-20. It shoots in HD and provides a beautiful picture. I mean, it's HD. How much better can it get? Now I had another dilemma which was the need to buy and carry a point and shoot on family outings along with the video camera. 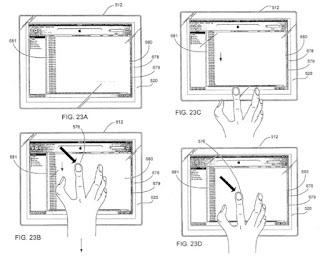 Hewlett-Packard has said they plan on bringing haptic touchscreens to consumers in early 2010. “We’re focused on recognizing the potential of touch now. We see touch as the almost preferred method for nontechnical users” Phil McKinney, chief technology officer, Personal Systems Group, HP. Speculation is that touchscreen technology market penetration will double by 2013. I would also wager that productivity will increase significantly when these devices hit the market. Coudos to HP for making the commitment. As device memory demands continue to increase and evolve, chip makers are increasing capacity to help meet these demands. 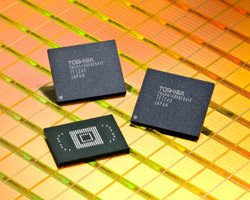 Along those lines, Toshiba has now announced that a 32GB chip will be available in mass production in the 4th quarter 2008. As most of us realize, no matter how much memory or capacity we have, we fill it and want more. So for devices that use solid state memory like phones or music players, you can expect 32GB of on-board memory is some of your favorite devices in time for the Christmas buying season. Do we really need a 32GB phone or music player? You bet! Sirius XM Radio Inc. CEO Mel Karmazin told investors during yesterday's conference call that interoperable radios will be available ahead of the nine-month deadline mandated by the FCC. "We have an FCC deadline," said Karmazin. "You should assume that we will be a lot closer, a lot faster in that deadline." "We think today an interoperable radio is something that we would like to see at retail," he added. "So you should assume that will be in a number of months sooner than we committed to the FCC." But, will we see these radios in stores before the Holiday season? Most likely not, Mel Karmazin told Orbitcast in an interview today. Karmazin did say that we can expect to see interoperable radios in the first quarter of next year, and can also expect see these new devices make their debut at CES 2009. Karmazin described the device as "very cool," but to expect the device to be in stores this fall would be unrealistic. Remember, there's a difference between interoperable radios and the a la carte radios/packages. Karmazin confirmed on yesterday's call that "an a la carte radio will hit the stores this fall," and told Orbitcast that specific decisions on the programming packages are mere weeks away. So XM subscribers who want the "best of" Sirius, and vice versa (like Howard Stern and MLB, for instance), won't have to wait long before new programming is within reach. Although I'd been hearing rumblings of this for a few days, I was hesitant to say anything officially until I knew for sure. Friends are now confirming (and the press release below confirms) that Pentron Clinical Technologies was purchased by Sybron Dental Specialties. ORANGE, CA – August 5, 2008 – Sybron Dental Specialties, Inc. announced today the addition of the Pentron brands to its corporate portfolio through the purchase of all the outstanding stock of Pentron Corporation. Daniel Even, Danaher Group Executive/President of Sybron Dental Specialties (SDS), said, “We are very enthusiastic about adding the Pentron brands to our family of companies. The crown jewel of Pentron is Resilon®, a synthetic alternative to gutta percha, which has demonstrated through clinical review and scientific investigation to be superior to gutta percha.” Mr. Even noted that Resilon-based endodontic filling materials bond to the canal wall and minimize leakage, thereby reducing the chances of a failed root canal. Pentron’s Resilon products will be distributed via the SybronEndo distribution channel while the balance of the Pentron brands will continue to be distributed via their current channel. Pentron customers should continue to secure products through their preferred source. For any questions regarding this press release, call 714.516.7959. Here is a very interesting bit of info on the realtionship of perio disease and cancer from the American Dental Association. People who have periodontal disease have a higher overall risk of developing cancer, say researchers in a recent issue of The Lancet Oncology. Studies have suggested that tooth loss and periodontal disease might increase patients' risk of developing cancer, but smoking might have confounded the association. To determine whether periodontal disease or tooth loss is associated with cancer, Dominique S. Michaud, ScD, Imperial College London, and colleagues from Harvard University, Boston, and University of Puerto Rico, San Juan, used data from the Health Professionals Follow-Up Study (HPFS). HPFS began in 1986 when male health professionals in the United States aged 40 through 75 years responded to baseline questionnaires posted by Harvard University School of Public Health. Follow-up questionnaires were sent to all living participants every two years, and dietary questionnaires were sent every four years. Participants reported baseline periodontal disease with bone loss, number of natural teeth and tooth loss in previous two years, as well as smoking history and food intake. They also reported any new cancer diagnosis on the follow-up questionnaires. The endpoints researchers measured were overall cancer risk and individual cancers with more than 100 cases reported. A total of 48,375 men with a median follow-up of 17.7 years were eligible for the study. Researchers recorded 5,720 cases of cancer (excluding non-melanoma skin cancer and non-aggressive prostate cancer) among the participants. The five most common cancers were colorectal (1,043), melanoma of the skin (698), lung (678), bladder (543) and advanced prostate (541). After adjusting for known risk factors, including smoking history and dietary factors, they found that participants with a history of periodontal disease had a 14 percent higher risk of developing cancer than did participants with no history of periodontal disease. Researchers noted significant associations between periodontal disease and lung, kidney, pancreas and hematologic cancers. They also noted that having fewer teeth at baseline was associated with an increased risk of developing lung cancer. The study was funded by a grant from the National Institutes of Health, National Cancer Institute. This post is near and dear to my heart as Garmin's headquarters are here in the heartland and actually not very far from my home. I was excited to hear earlier this year that Garmin was planning on bringing a phone to market. While GPS is becoming a hot topic/feature in wireless phones (iPhone, Instinct, and others) the big daddy of them all could very well be Garmin as GPS is their core competency. However, now the company is saying that we won't be seeing the Nuviphone until 2009. The release date has not been specified yet leading some industry insiders to speculate that means Q2 of 2009. The company stated that reason for the delay is a nebulous "carrier specific requirements [that] will take longer than anticipated." A few years ago, Garmin had a GPS enabled PDA that was pretty sweet, but it never caught on. Here's hoping the Nuviphone does much better. As regular readers know, I purchased an Amazon Kindle a few months ago on the recommendation of a good friend. Since then, the Kindle has been a fairly constant companion for me. When I'm not working my first career (clinical dentistry) or working at my second career (dental technology geek) I'm enjoying reading my Kindle. It's great for getting a book when I want it and being able to read anywhere I have adequate light. It's much easier to transport than a normal book and the ability to download a new book anywhere over the wireless Sprint network is a huge plus. But anyway, enough of my gushing. It appears that I'm not the only one enamored with the Kindle. In less than a year 240,000 units have been sold which translates to around 96 million for Amazon. It is also speculated that there is $6 million worth of revenue for every $25 dollars worth of revenue per device. Obviously, Amazon has tapped into something powerful here and it promises to only get better. The Kindle is the iPod of the reading world and it's only going to get better. The security surrounding products at Apple is legendary. Mr. Jobs has consistently kept new product info away from the public eye which has created a frenzy around any keynote talks he gives. What this really means is that we're left to speculate on the small tidbits of info we can glean, but usually it's just rumors and innuendo. To that effect, here's what is circulating regarding iPods. Apple recently warned their resellers to stock up on certain items, in expectation of an inventory and manufacturing crunch. What can this mean? Well speculation abounds that this means a change in the works for the iPod line. Probably we'll see a drop in price (a la the iPhone) for greater capacity. There is also a rumor that the new iPod's may also possess GPS capability. With memory capacity increasing all the time and prices on memory dropping, I think this is a pretty good bet. The GPS, I'm not so sure, but Apple has surprised me before. Although I have the Instinct, I haven't forgotten about all of you who have iPhones. 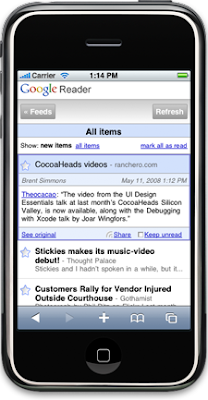 The good people at Google have come up with an iPhone version of their Google Reader program. Here is their posting in its entirety. 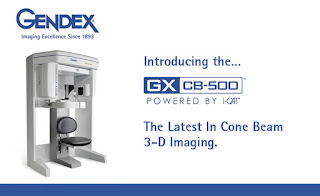 The latest addition to the new office is the Gendex GX CB-500. The device is a Cone Beam Computer Tomography (CBCT) device that will allow us to take 3D scans of a patient. CBCT is becoming a popular technology due to its ability to allow the clinician to view and analyze the patients skull in a true three dimensional diagnostic view. This can mean greater ease for the treating team and greater confidence for the patient as difficult implant, surgical, endodontic, or orthodontic treatment can be accomplished with a more complete amount of diagnostic data. Although I have limited experience with the device currently, we'll be going through training and putting it through its paces. I'll post more on this exciting technology as things develop.